But we love Stage Door for more than just decor. 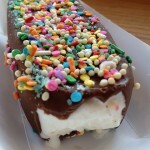 While there aren’t any super unique options here, it’s a great place to snag classics, like the famous Disneyland Hand-Dipped Corn Dog. Find out what else we love about this spot in our video celebrating Stage Door Cafe Classics! And if you love this video, head over and see allllll of our greatest hits on our DFB YouTube Channel! 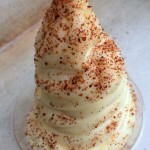 Interested in JUST Disneyland videos? You can check out our Disneyland playlist here! What’s that? You NEVER want to miss a single DFB Video? Then you should subscribe to our channel, my friend! Hit the button below, and we’ll let you know each and every time we put up a new video of our adventures!! Now it’s time for us to mosey. 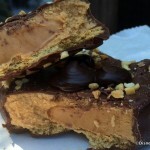 But we’ve gotta know: Do you love Stage Door Cafe? Leave a comment and share your favorites! 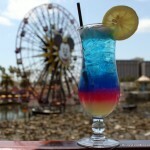 « Review: Pleasure Island Drinks for #ThrowbackThursdays in Disney Springs This Summer! 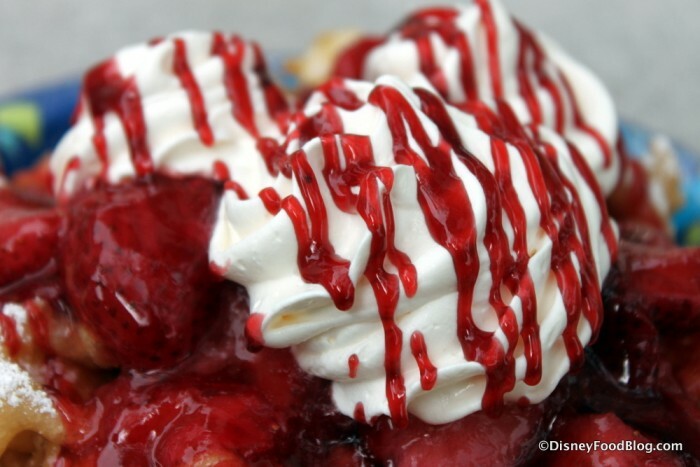 Those fish and chips and mozzarella sticks look great and I have to get a strawberry Mickey topped funnel cake on my next trip! Don’t forget, they have ice cream nachos on their secret menu as well!